In the new Strike "The Wretched Eye" in Destiny Rise of Iron, you will find out what the dead are doing with SIVA. A fallen leader, a splicer priest named Kovik, has caught the eye of an ogre. He uses this as a weapon and shoots around the area, while the blind ogre is stalking wildly. So you can imagine the boss fight. "The Wretched Eye" is a strike with high replayability. After a short time you enter a large bunker, where there are several doors. At each pass, take another path through the building to end up with the Boss. Then you fight through the bunker, do splicers and the mass and destroy other SIVA nodes. In the end you arrive in a large room. There you will find the blind Ogre. You should scan it. And the splinter-priest Kovik, who is looking for you, is already appearing. The Ogre is liberated and runs Amok. In the video, he was partly very obtrusive behind the keeper, from whose point of view we experience the Strike. You only have to defeat Kovik as a target. The ogre is immune. Once Kovik lies, the strike is over. “The Wretched Eye" can be completed within few minutes. 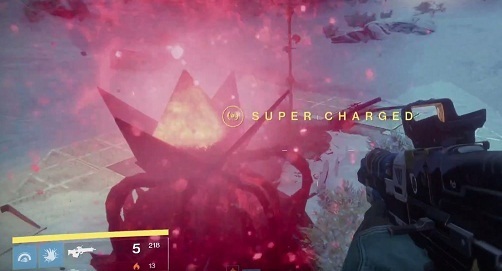 However, the enemies are also at level 38 - the guardians at 40. The recommended light level is 190. Note: Timur's artifact is also on display in the video. This gives you the chance to bring the enemies to your side with melee combat. They fight for you.